Many thought that when TESCCC promised to remove lesson plans from CSCOPE the children of Texas were safe - for now. The plan by the liberals to bypass our Governor and State Board of Education in order to slip Federal Common Core Standards into Texas schools through the backdoor - secretly using public funds hidden within a private non-profit corporation – had been uncovered, investigated and thwarted. For the time being, Texas kids were safe from Bill Ayers and Linda Darling Hammond. Lessons designed to brainwash Texas kids against Capitalism, American Exceptionalism, Christianity, etc. were gone. Texas teachers were no longer forced to teach all kids the same CSCOPE lessons on the same day in the exact same way. Under Federal pre-school Common Core standards. What makes it worse is that the HCDE Board President, Angie Chesnut, is supposed to be a Republican. She even serves as Vice President of the Kingwood Area Republican Women – who list CSCOPE as a “hot topic” on their website. Yet Ms Chesnut is allowing each board member to meet privately with the team planning Obama’s Pre-K Common Core program so they can gain information and ask questions WITHOUT having to discuss the plan in front of the public in an open meeting. I guess she has never read the “Republican Philosophy” document nor the “Republican vs Democrat” beliefs page posted by her own club. More troubling is that at the HCDE meeting to replace a resigning board member, Ms. Chesnut threw out board policy, introduced a new Democrat to the list of board candidates, and proceeded to vote with the Democrats to approve the new candidate - thus guaranteeing a Democrat majority – and the passage of Obama’s Pre-K Common Core plan. You can watch the video of the vote and watch Ms. Chesnut railroad her own party by voting with the Democrats while the two remaining Republicans, Marvin Morris and Kay Smith, vote against here. But thanks to the one true Republican on the HCDE Board, Kay Smith, the public is no longer being kept in the dark about the plan. She shared it with me so I could share it with Texas. Some will say I can’t call this “CSCOPE for Babies” because a computer product is not being sold. But the similarities of this plan to CSCOPE are too remarkable to be a coincidence. Just as CSCOPE uses public funds to run a private non-profit corporation to hide its operations from the public, HCDE plans to more than double its tax rate to raise $24-30 million per year and GIVE IT via contract to a start-up non-profit to be called “Harris County School Readiness Corporation (HCSRC)” to operate the program. Just as the legality of CSCOPE’s actions were suspect, the legality of Harris County School Trustees collecting the Equalization Tax to give to a private non-profit corporation instead of distributing the funds directly to the ISDs as dictated by Texas Education Code 18.14, is highly questionable. But the most remarkable similarities are in the people connected to this program. The link in his material to www.all4ed.org shows the organization to be the Alliance for Excellent Education who just happens to have Linda Darling Hammond (of CSCOPE fame) on their board. Like Heckman, Hammond served as President Obama’s education advisor during his 2008 campaign. Even though her own charter school at Stanford failed academically, Bill Ayres thought so highly of Ms. Hammond that he posted a petition on MoveOn.org to have her named as Secretary of Education. Vijay Ravindran who was the chief technology officer of Catalist LLC—a political technology company started with $1 million from George Soros that built a national progressive voter database of more than 260 million people. During the 2008 election, Catalist worked with ninety progressive organizations, including Planned Parenthood, SEIU, and the Obama presidential campaign, to name a few. Daniel Leeds is founder and chair of Education Voters of America,the Education Funders Strategy Group, and the Alliance for Excellent Education, for which he serves as chair of its governing board. Mr. Leeds is also president of Fulcrum Investments LLC. The Alliance was a founding partner in the Data Quality Campaign to develop education data systems in every state to “improve student achievement.” CSCOPE is a data mining program. The Alliance partners with Learning Forward to provide standards training. Learning Forward published one of Hammonds reports for SCOPE –Stanford Center for Opportunity in Education. ESCs link to the Alliance and to Learning Forward on their websites. and three former ESC 13 employees - John Fessenden, Clee Upchurch and Lee Rutledge – who, by the way, is also President elect of Learning Forward Texas. Note: As a retired teacher I find it odd that Learning Forward Texas, an organization that specializes in training educators, has no training programs listed on their calendar for the entire summer – the busiest season for teacher workshops. The brochure produced to promote this new program in Harris County lists the board members of the Texas Gulf Coast School Readiness Committee on the last page. The Chair of the committee, Stephen M Kaufman, is the Managing Director of Fulcrum Investments LLC whose President just happens to be the founder and chair of the Alliance for Excellent Education, Education Voters of America and the Education Funders Strategy Group. Corporation wiki lists Mr. Kaufman as the President of the Rauch Foundation which focuses on similar education issues on Long Island, NY. 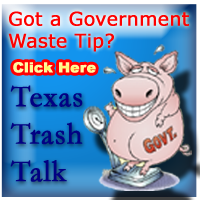 The small program there appears to be the model for what they want to do in Texas. And what a coincidence that it is all right in step with President Obama’s new Pre-K Initiative. This includes national standards for preschool – thus the phrase “Common Core for Babies.” Then there is the plan to grow this Harris County program into a statewide government entity. A look at Colorado shows us what we have to look forward to if we allow this to move forward. It is bad enough when the bureaucrats over-regulate schools and businesses, but when they have the right to enter your home and regulate how you care for yourself and your children, they have crossed the line. This program may not be a computer only product, but it is a control mechanism and data mining process just like CSCOPE. It is the Federal government trying to sneak in the back door just as they tried with CSCOPE, but this time they have come for our babies. We are kicking them out of our ISDs and now we need to make sure we keep them out of our pre-schools and our homes. Because Angie Chesnut sold out the HCDE Board to the Democrats, contacting HCDE is a waste of time. This will need to be stopped in Austin. Ask them to investigate the Harris County Department of Education (HCDE) and stop their plan to bring the federal pre-k “Common Core for babies” program in the back door by funding a private non-profit corporation with equalization tax dollars. Note: For those who don’t know what HCDE is, it is the assumed name of the Harris County School Trustees. Years ago, county boards ran public schools in Texas. When Texas moved to ISDs, every county but two, Harris and Dallas, closed their county boards when they no longer had schools to run. Harris County still elects County School Trustees who still have the authority to collect a countywide education property tax (called the equalization tax) almost 50 years after all students in Harris County moved out of the countywide school system and into ISDs. It is the only school board in Texas elected by Party. You can read more here.